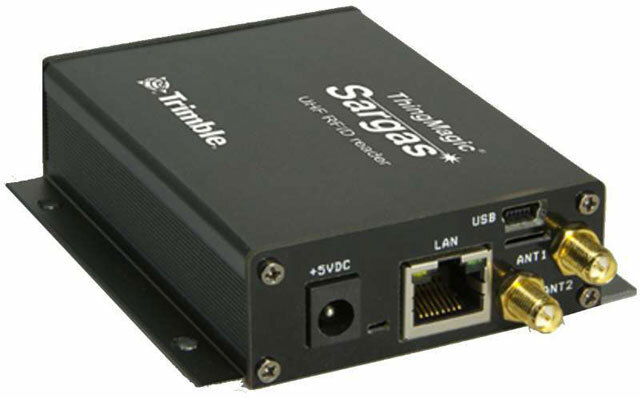 The ThingMagic Sargas fixed RFID reader is a high-performance, 2-antenna-port, networked, UHF reader in a low profile enclosure. Built around the ThingMagic Micro reader module, the device reads more than 750 tags per second at distances over 9 meters (30 feet) when configured with appropriate antennas. With an onboard processor, memory and removable flash storage, the reader has features designed for enterprise applications, and easy system integration. Plant Access is a specialised logistics services provider, catering for the green life industry. Plant Access provides a highly efficient service utilising a unique, innovative steel stillage design used to pick, crossdock and deliver nursery plants to Bunnings Warehouse locations across Victoria and South Australia. Plant Access manages the orders and provides the steel stillages that are used to transport plant products from over 67 nursery supplier sites to Bunnings stores across Victoria and South Australia. Shipments from different suppliers are consolidated at the Plant Access cross dock facility before orders are transported to Bunnings locations and plants are sold to consumers direct out of the steel stillages. At any one time, Plant Access has thousands of re-usable steel stillages spread across hundreds of sites throughout the supply chain. Knowing the location of all these stillages and the status of an order was a serious challenge for Plant Access under a legacy paper-based manual ordering system. A new automated tracking system was necessary to capture real-time data from nursery supplier sites, the Plant Access cross dock logistics facility and the Bunnings stores, in order for Plant Access to have an accurate and instant visibility of their stillage assets and the products they were transporting. With the RFD8500, customers can empower select Zebra and certain third-party mobile devices with enterprise-class UHF RFID and 1D/2D bar code scanning technology, whenever and wherever it’s needed—simply, easily, and cost-effectively. Just pair this state-of-the-art Bluetooth-enabled sled with a mobile device, and then attach the mobile device to the RFD8500 for a one-piece solution. User can wear the paired mobile device on a lanyard, a holster, or in a pocket for unattached RFD8500 operation. The RFD8500 can also be used in batch mode without the mobile computer. With support for Android, iOS, and Windows, users get real investment protection: the RFD8500 sleds they buy today will work with the devices in use now, and in the future. 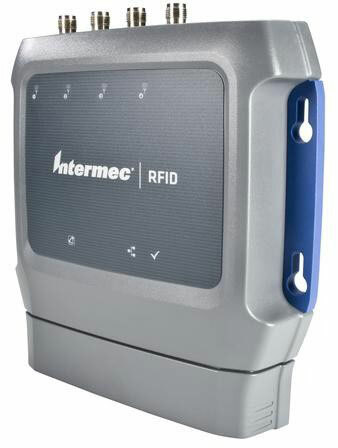 Whether creating a dedicated RFID device or providing comfortable RFID tag and barcode label capture on the fly for certain tasks, the RFD8500 makes it easy. When it comes to performance, the RFD8500 is unparalleled. Workers can capture RFID tags and bar codes faster and from farther away, improving productivity, operational efficiency and customer service. CipherLab 1860 series can be adopted as an independent UHF RFID reader or a companion to extend capabilities of existing handheld terminals to UHF RFID reading and writing. 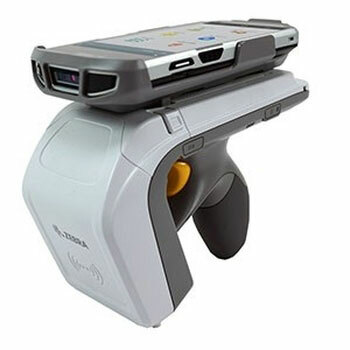 The 1860 series is equipped with Bluetooth V4.0 dual mode to pair with handheld terminals, so that users can read UHF RFID tags and 1D/2D barcodes with one hand by simply snapping terminals on its 1860 custom mounts. To fulfill the demands of Retail, Warehousing and Asset Management, the 1860 series can read multiple tags of EPC global UHF Gen 2 and ISO 18000-6C simultaneously from maximum 5 m away, which extremely improve users’ working efficiency. Moreover, the 1860 series is protected by IP64 and 1.5 m drop resistance. Sure to become one of the age-old battles, choosing between Barcodes or RFID for your tracking needs is no easy task. Both technologies can be used to track almost anything from inventory in a warehouse and company assets to hospital patients but depending on the specifics of your application one may be more effective than the other. Likewise, there is a noticeable cost difference between the two but given the time and labor the technology can save you the return on your investment may be well worth it. This handy infographic is a great starting point to learn the key differences between Barcodes and RFID to get you closer to a decision. We understand this isn’t always a cut and dry choice so feel free to contact one of our Data Capture specialists for assistance.